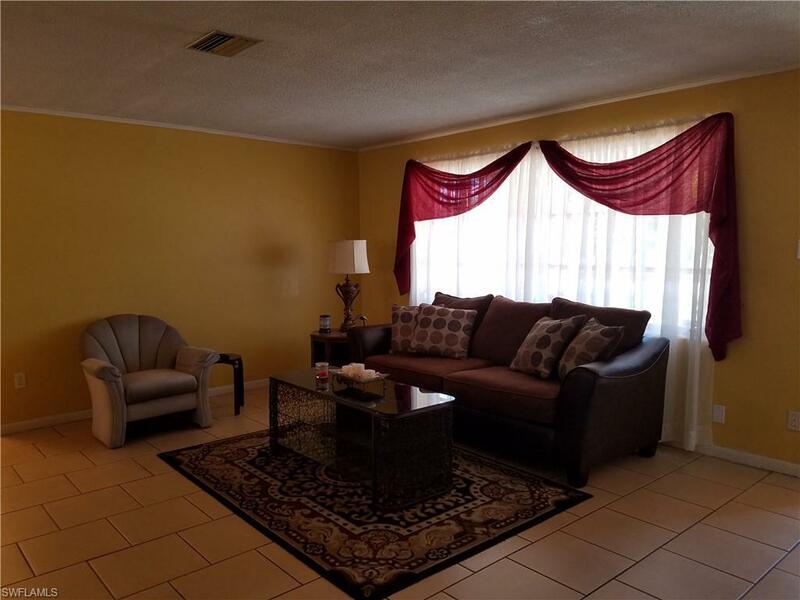 Nice furnished home with potential mother in law suite on a corner lot. 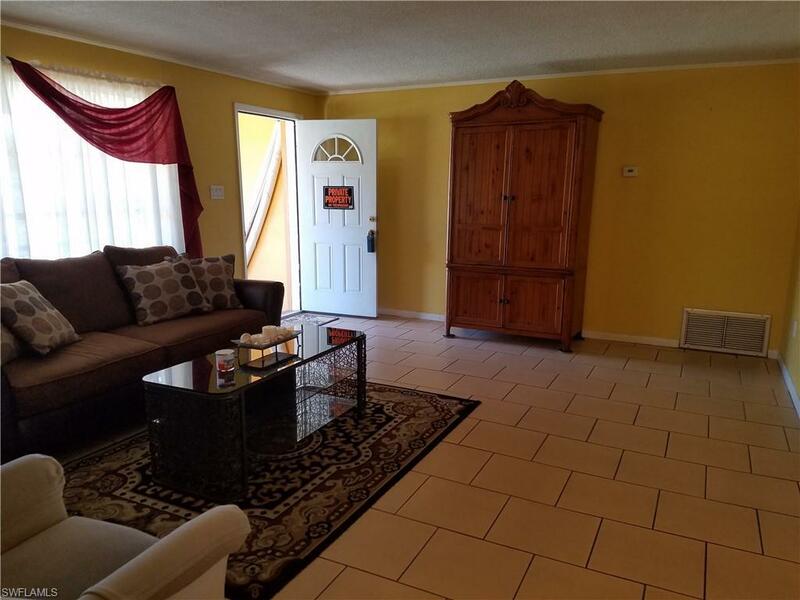 This home features good size bedrooms, a fresh clean bathroom with a Jacuzzi tub, a tiled living room plus a large family room with laminate flooring. 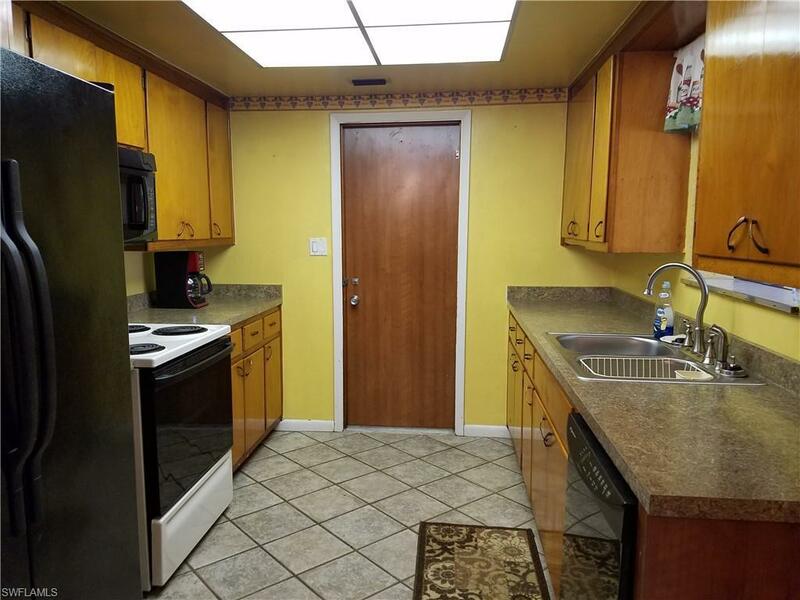 The galley kitchen has updated Formica counters, a new sink and faucet, a new over range microwave and a side by side refrigerator with ice maker. This nice home also has two screened lanai's. 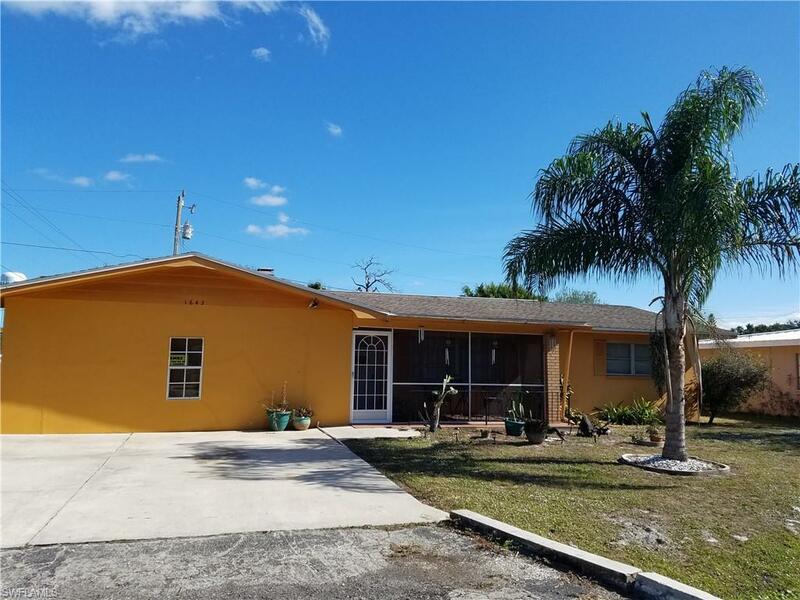 The potential for a mother in law quarters offers a bedroom with a walk in closet, a living room area, a bathroom with shower, laundry area shared by main house and a separate entrance and with new flooring, painting etc.. would make a great addition. The previous owner rented this area of home out. The main home is furnished as shown. Listing courtesy of William T. Marron of Bill Marron Real Estate.